FOB PriceUSD 1900.0-2100.0/Ton Get Latest Price Modelaluminum window profile Certification SONCAP, SGS CERTIFICATE, CQM, ROHS CapableUL Min.Order0.5 T Brand NameHUIXIN Brief DescriptionAluminum window profile:1.Superior Aluminium profile;2.Unique design;3.Excellent treament;4.6063T5 type;5.Circle/Angle/Square;6.Long lifespan. 1. Excellent Aluminium profile, remarkable design. 2. The excellent surface treatment is as strong as the imported products. 3. Various surface treatment of aluminium can be chosen depending on your interests. 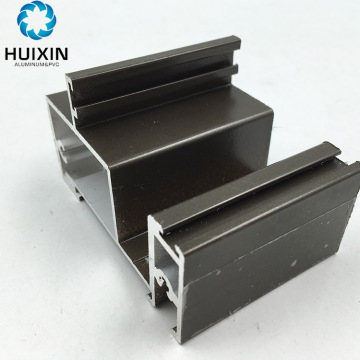 profiles, aluminum profiles for LED light, etc. Here are some original Aluminum Extrusion Profiles for South Africa Market. These are our main markets of Aluminum Extrusion Profiles. If you want to know more detail of it , please click the signs below. Nepal(2%) , Nigeria(25%) , Tanzania(10%) , Ira(3%) , Other Markets(10%). Area: An area of more than 60 acres. and LED lighting profileand generally used door profile, round pipes and square tubes and etc. Step 2.Our engineer will make mould design based on your drawings or samples. Step 3. Detail quotation for both mould and products. Step 4. Test out product samples for confirmation. Step 5. After confirmation on samples ,we can start mass production. We have matual connection with various forwarder company. Competive price and one-stop service on clearing, shipping issues. Our principle: Customer orientation, establishing prestige through quality. very popular with many people. The balance Irrevocable L/C at sight. 3. Trade term can be chosen depending on your requirements. 4. FOB Port: Foshan, Guangzhou, Shenzhen, or according to your request. 5. Discounts: We offer discount for large quantity. A: We are a factory. Designing and producing Aluminum Profiles. BaiYun airport.Warmly welcome to visit us! A: We are honored to offer you samples of our Aluminum Profiles. 2500 and the annual capacity reaches to 15000 tons. 6. Q: If I have a question I would like advice on how to contact you? A: You can directly have major inquiry and send e-mail to consult us. Package: Kraft paper/ Foam Paper/ Carton box/ Plastic Film provided. Foshan Nanhai Huixin Aluminum Co.,LTD is a all-round enterprise,who intergrates mould design,aluminum extrusion and surface treatment processing of anodic oxidation,powder coating,eletrophoresis and thermal transfer wood grain,Covering an area of more than 60 acres of land,Huixin owns 8 extruson production lines which tonnage are from 600 to 2500 and the annual capacity reaches to 15000 tons.Beside the international advanced level anodic oxidation production line,electrophoresis production line and power coating production line,the punching,blending and polishing equipments enable us to provide one package service.Huixin has cultivated a quick reaction sale team with expertise and rich experience,who 24 hours stand by for clients.Our main products including:construction profile,like sash and casement window and door,roller shutter door,curtain track, office and home used furniture,tile trim profile,profile for industry and advertisement,LED lighting profile and generally used door profile,round pipes and square tubes and etc,totally reaches to 100 series and more than 2000 varities.Our surface treatment service covers anodic oxidation,power coating,eletrophoresis,all kinds of high simulation wood grain processing and polishing and drawbenching and so on.It can definitely meet the requirements of different customers and industries in terms of diverse colours and various styles.Our products are popular not only in China but also in South Africa,Nigeria,Brazil and United State of America.Our tenet is to constantly pursue new and high qualiuty products to carter the marker demand.Huixiner firmly sticks to "technology innovation,quality oriented and customer firse"and endeavour to provide the highest quality,more competitive price and the best service.